Recipes | The Happy Wonderer ~ ellen b. 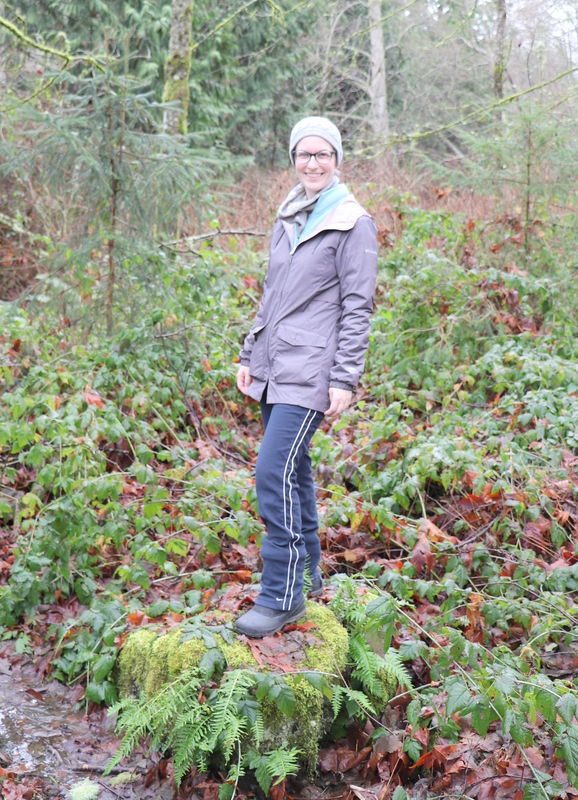 The first part of this post was written by our daughter Katie a few years ago. I’m featuring Nadia (babushka) today instead of Moisi for Tuesday With Moisi. The photo above was taken in 2013. Many Borsch recipes include beets in them. The familiar Borsch that we grew up with and that we had at Molokan Church Meals did not have beets in it. Here is my mother’s recipe. Our people don’t pronounce Borsch with a “t” on the end. Salt and pepper the roast and sear it on all sides. Put the roast in a stock pot and cover with water. Add remaining ingredients. Bring to a boil. Simmer and cook until roast is fork tender. Remove the meat and set aside. Discard the stock vegetables. Saute onion, bell pepper, celery and jalapeno if you are using one until onion is translucent. Add these ingredients to a blender along with the two cans of stewed tomatoes. Blend and add them to the beef stock along with all the other ingredients. 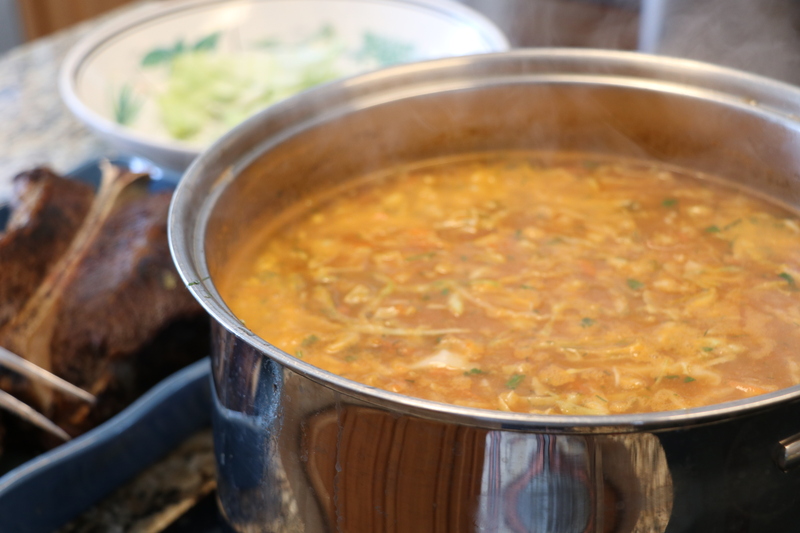 Bring to a boil, then simmer until cabbage, carrots and potatoes are tender. Taste and see if the soup needs more salt or pepper at this time. The Borsch is ready now. My mother doesn’t include this in her recipe but when she made borsch at my house once I saw her add a half a cube of unsalted butter at the end. My mother mashes most of the potatoes to thicken up the soup a bit. You can serve the roast alongside the borsch with a good loaf of bread and of course…sour cream. I made this pot of Borsch on Sunday and we’re enjoying it again today. I also took a couple of containers to Dan and Jamie’s today. We watched Addy while Dan and Jamie made a trip to Spokane to do some shopping. 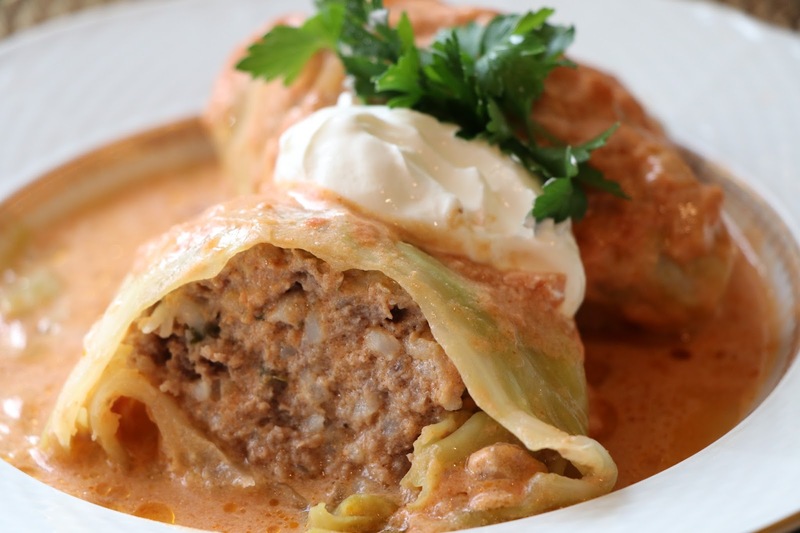 We grew up enjoying Golubtzi, Голубцы, a Russian version of cabbage rolls. I didn’t develop a taste for cabbage until my adult years so I’d peel off the cabbage and just enjoy the filling. Today I really enjoy cabbage in all it’s cooked or uncooked forms! 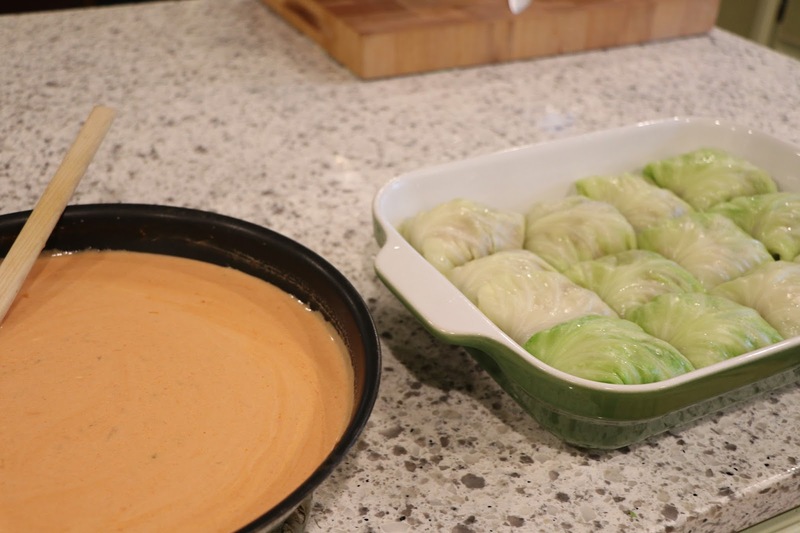 Once you get the cabbage leaves ready to go this is a simple recipe to make. This is my mother’s version. There are many other recipes that differ from hers. Core the cabbage leaving it whole. Boil the head of cabbage in a pot of water until leaves separate easily. Drain leaves and let them cool while you prepare the filling. Combine the ground beef, rice, onion, salt, pepper, and parsley. Once the leaves are cool enough to handle you can trim some of the thick vein of the cabbage leaf to make it easier to fold. 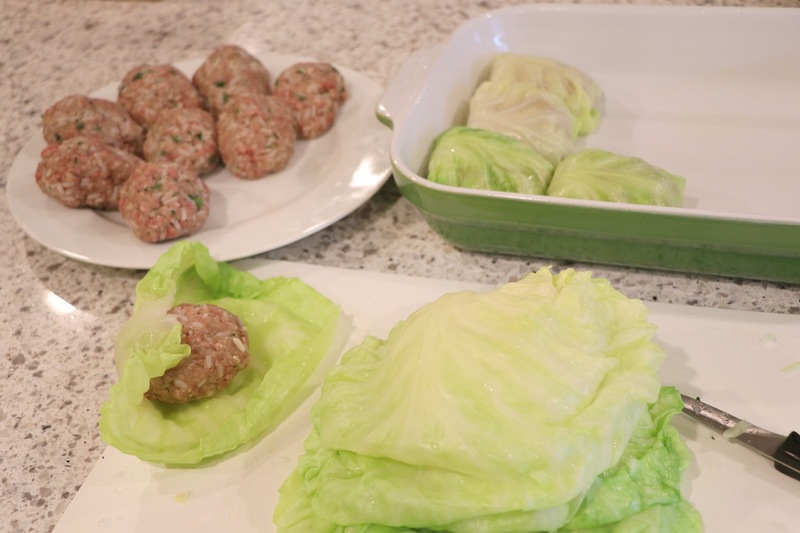 Place about 1/3 cup of ground beef mixture onto a cabbage leaf and fold edges over and roll up. Place in baking dish with folded seams down. Continue until you use up the ground beef mixture and cabbage leaves. Saute the chopped onion in a little oil until it is translucent. Add soup, tomato sauce, ketchup, and water, mix well and bring to a boil. Add a little of this sauce to the sour cream to temper it and then add the sour cream mixture to the sauce and mix well. Pour the sauce over the cabbage rolls. Bake in a 350 degree oven for an hour or longer, till hamburger is fully cooked. Yield: 12-18 Cabbage Rolls depending on size of your meat balls. Serve with your favorite green side dish and some good bread to soak up the sauce! You may need two baking dishes to accommodate more than 12 rolls. While the whole head of cabbage is cooking in the pot I use tongs to remove the leaves gradually as they start to release from the head of cabbage and put them on a kitchen towel to cool. I keep checking as I prepare the other steps in the recipe. I use a sharp paring knife to trim the vein starting in the center of the thick vein away from me to the outer thicker part of the vein. This makes it easier to fold the cabbage around the meat. One of our sons doesn’t tolerate milk products so I made a small batch of the Golubtsi and covered them with the sauce before I added the sour cream to the rest of the sauce. We find that using hamburger that is 15% fat or more is better for these as the meat that has less fat in it can be dry. I originally shared this recipe on the Mennonite Girls Can Cook blog but wanted to have it here on my blog, too. This is a recipe and method I posted on Mennonite Girls Can Cook a while back and I wanted to have the post here on my personal blog, too. Just recently, on the Great British Baking Show these were a technical challenge for the bakers. 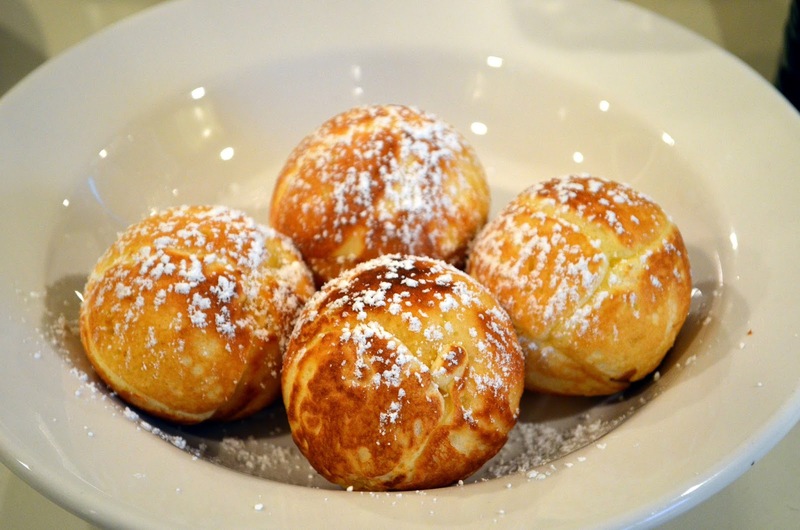 We first enjoyed these novel pancake balls when we visited the picturesque Danish village of Solvang, California. My husband bought his own pan to make them at home before we were married. We still have that pan. The next time we make them we will experiment with our own flour mix instead of using Bisquick but for now here is the Bisquick recipe. We are also going to try putting in an apple filling which is a little trickier next time, too. Beat egg whites in large bowl on high speed until stiff; set aside. Blend egg yolks, baking mix and milk in mixing bowl on low speed. Fold egg yolk mixture into beaten egg whites. 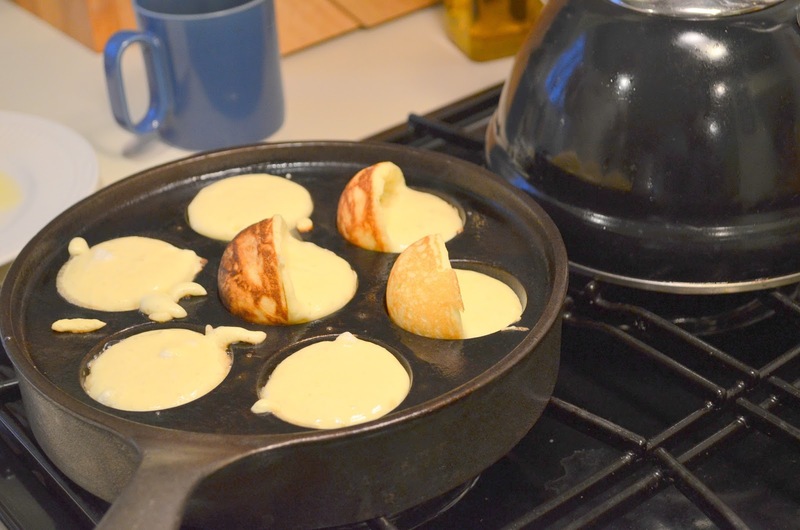 Butter each cup in Aebleskiver pan. Heat pan over medium heat. Fill cups 2/3 full with batter. Cook until bubbly; turn carefully with small spatula or fork. Cook other side until golden brown. While warm, sprinkle with sugar. 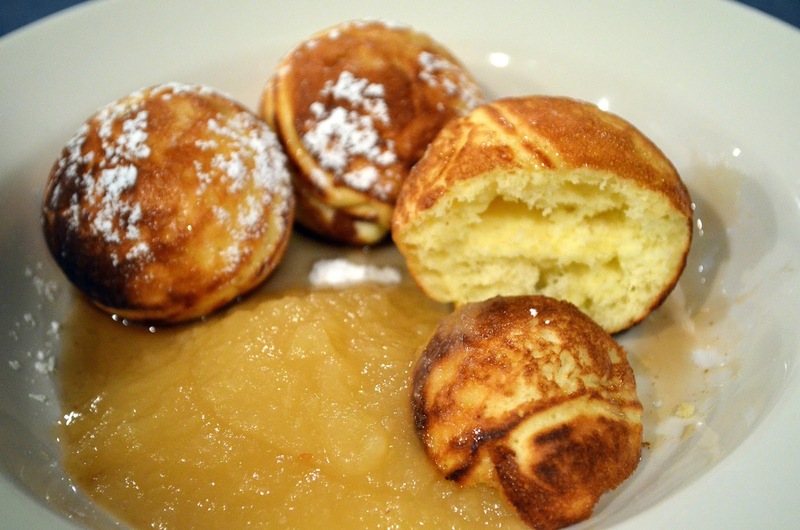 Serve with applesauce and syrup if you desire. Notes: You can try turning them with a chopstick or wooden skewer if the fork or spatula don’t work for you. Next time we thought it would be nice to add a little vanilla and or sugar to the batter. …no Hodgepodge tomorrow. I know some of you really enjoy the Wednesday Hodgepodge but Joyce is taking this week off and we’ll have to wait till next week for some new questions. 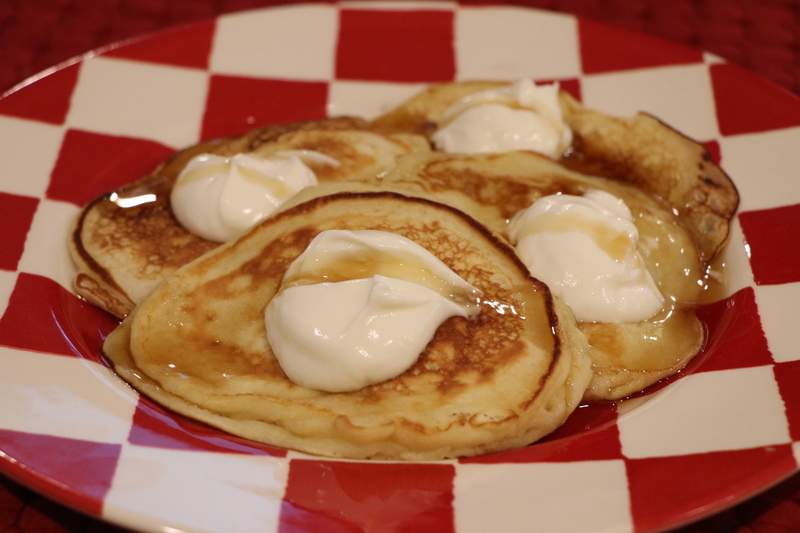 In the meantime you can click over to Mennonite Girls Can Cook for a Yogurt Pancake Recipe I posted today. Since we don’t have our regular Hodgepodge Questions why don’t you answer these next 4 random questions in comments. 1. God has decided to send you on a Mission trip, where are you going and why? 2. You have a free afternoon to read uninterrupted. Where would you choose to read? 3. If you were stuck in an elevator for over an hour what music would you want playing while you were stuck? 4. You have to travel from the west coast to the east coast of your country, what 5 cities would you want to spend time in? I’ll post my answers tomorrow. We have sunshine today. I’m hoping to get out into it. 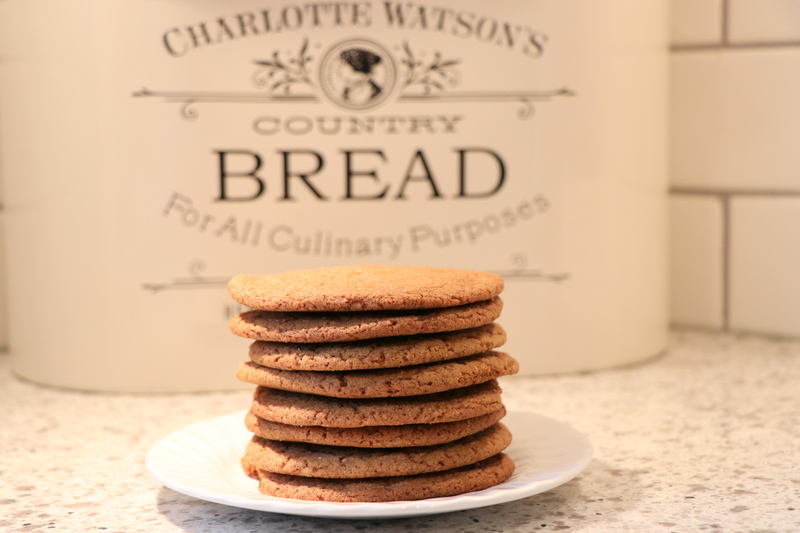 On Saturday morning when I was catching up on visiting blogs I saw the cookies that Lorrie made with a recipe she posted. Lorrie’s blog is called Fabric Paper Thread. I checked my cupboards and was pleased to see I had all the ingredients I needed for the recipe. Dear and I enjoyed the finished product. When Josh and Laura were here on Sunday they enjoyed them, too. Click over to Lorrie’s to see the recipe. I put mine too close to each other on the cookie sheet. They still taste great! Lorrie’s look perfect! Tuesday of this week is Shrove Tuesday or Pancake Tuesday for our friends across the Pond and Mardi Gras, Fat Tuesday for some in the U.S.A. Wednesday is Ash Wednesday and Valentine’s day lands on this day this year. That’s a cruel calendar joke if you are giving up sweets or sugar for Lent. 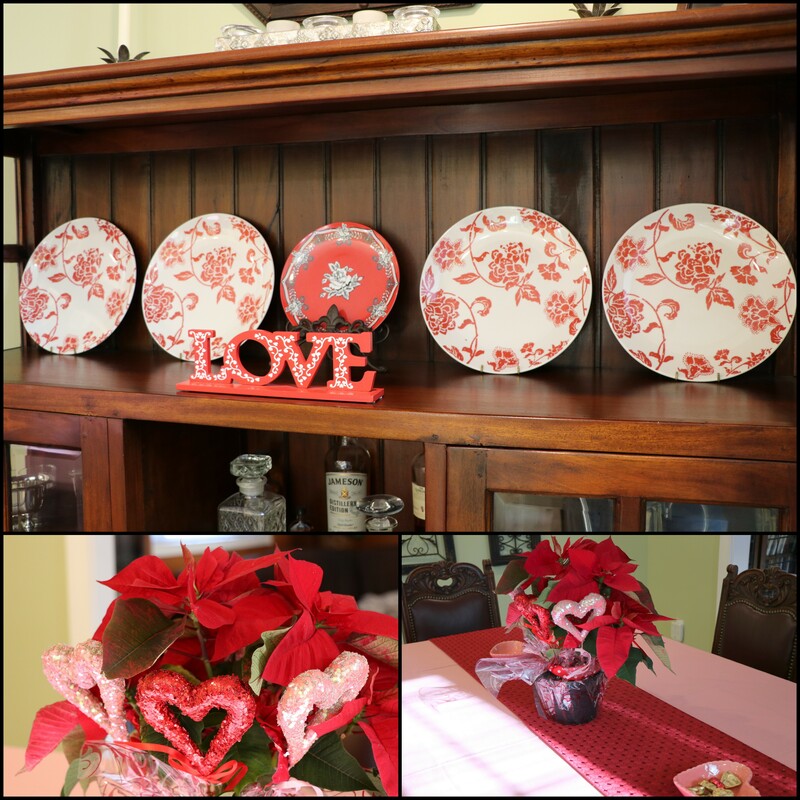 My Christmas poinsettia that I bought for ninety seven cents after Christmas is now a Valentine’s day poinsettia with the glittery hearts I added to it. It’s holding up with no help from me. I brought out the red and pink for Valentine’s day and I am ignoring the purple/green/yellow of Mardi Gras. I’m considering making a good batch of pancakes for Shrove Tuesday joining our friends across the pond for Pancake Tuesday. 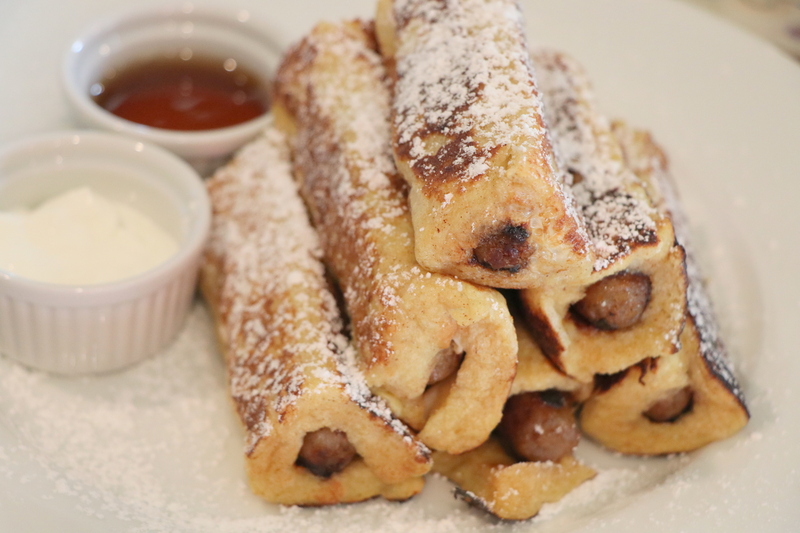 Pigs in a blanket for Shrove Tuesday? 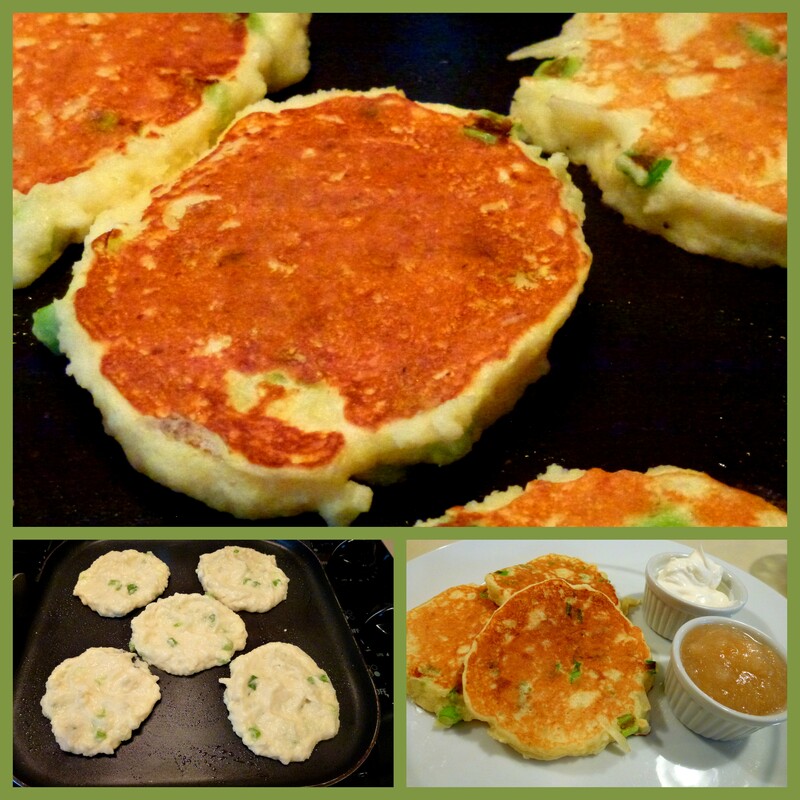 Or Potato Pancakes? I’ll probably try some yogurt pancakes because I got a free tub of plain yogurt this week. 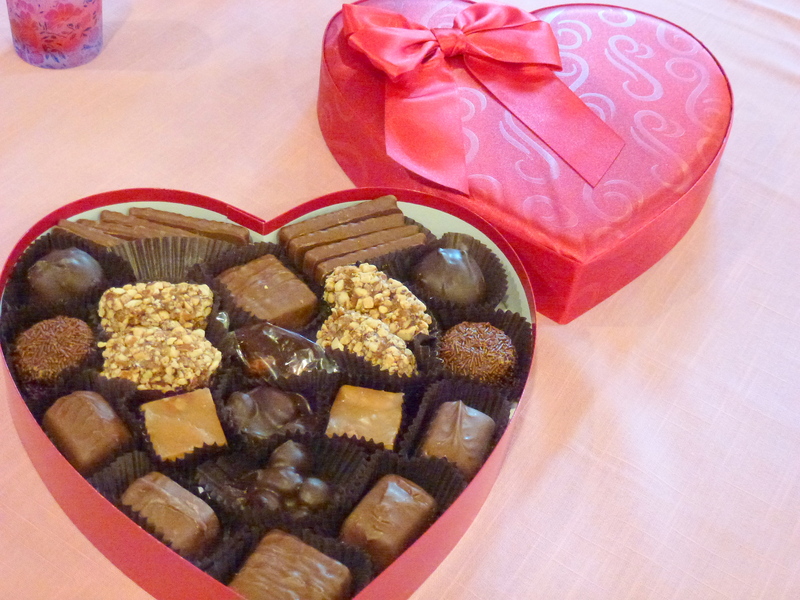 No heart shaped box of chocolates this year but I will buy a couple bags of chocolates for our small group who will be gathering here on Valentine’s day evening. We gave them the option to cancel but no one had plans so we are forging ahead with the group gathering. 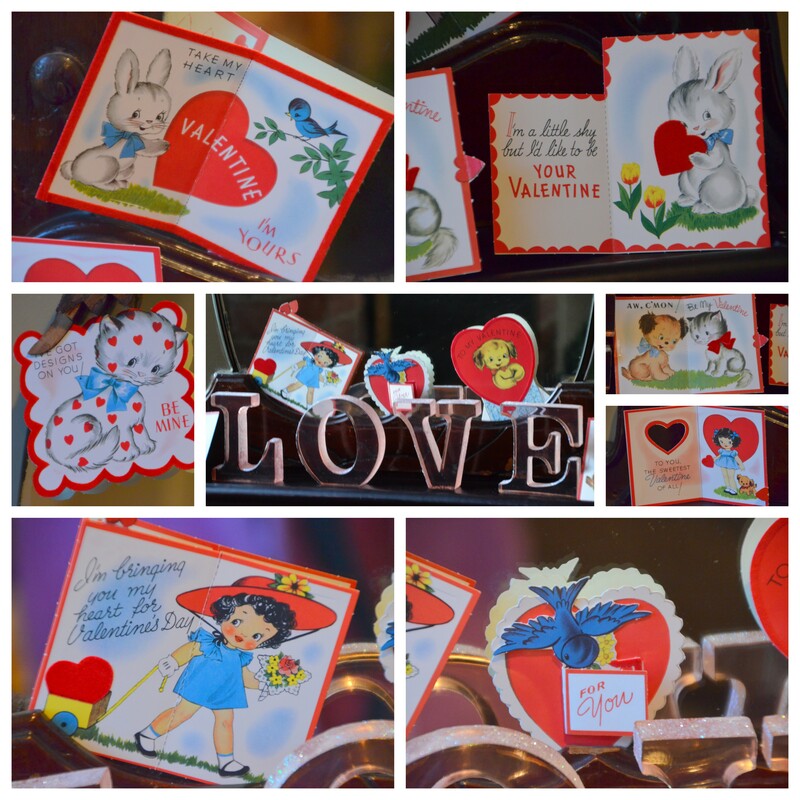 The vintage Valentine’s are the best…do you agree? I haven’t decided if I’ll set something aside for Lent this year. I will do some reading and listening to devotionals that prepare my heart and mind for this Lenten season culminating with Easter. Head over to the Mennonite Girls Can Cook blog for my Ground Chicken Chili recipe. Wednesday morning dawned with no constraints and a promise of no rain. 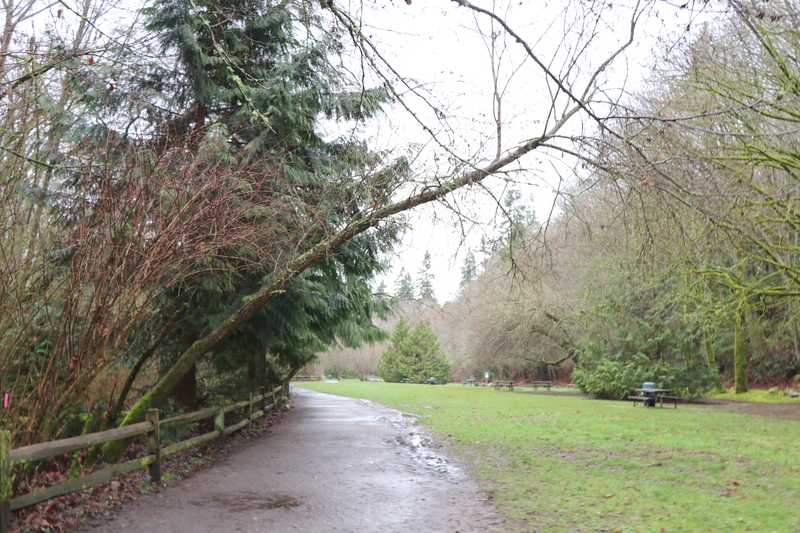 I picked up Katie at 9:34 and we drove to a park in Seattle that we had not been to before. 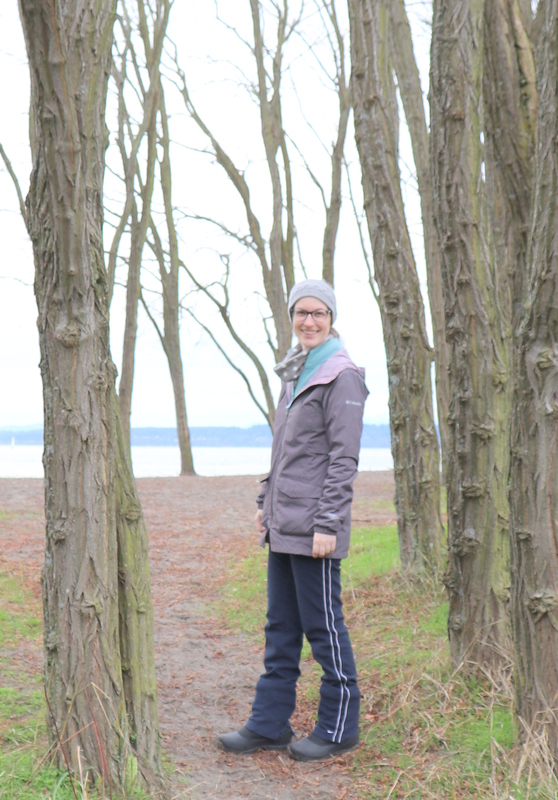 We parked and headed down the trail at Carkeek Park that would eventually take us to the waterfront on Puget Sound. This reflection in the huge puddle had to be memorialized. 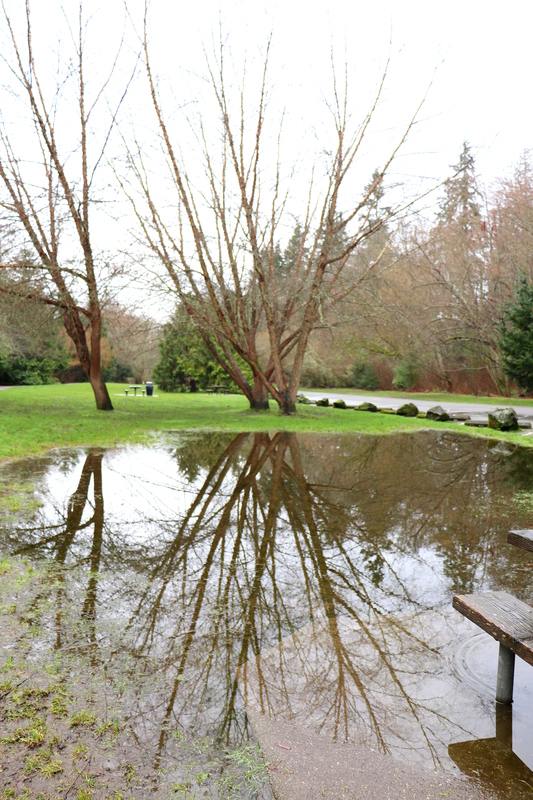 It’s been raining a lot in the Seattle area. 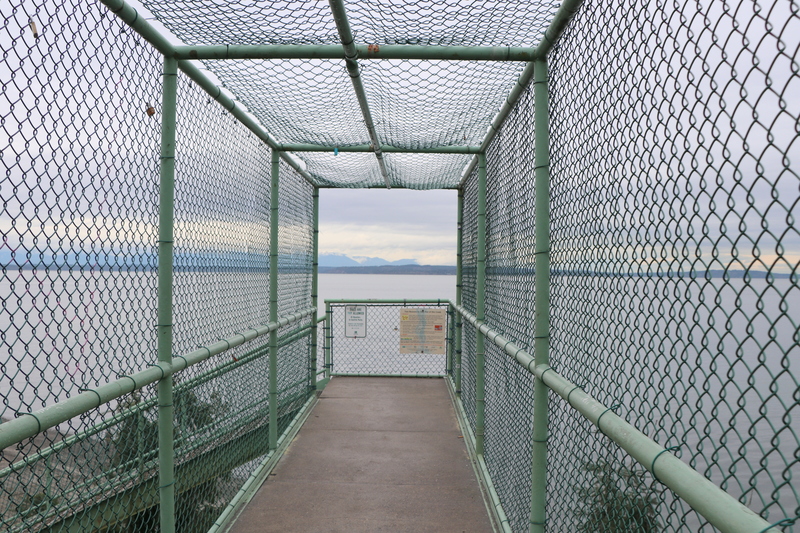 When we hit the end of the trail this bridge took us up and over the railroad tracks to the waters edge. 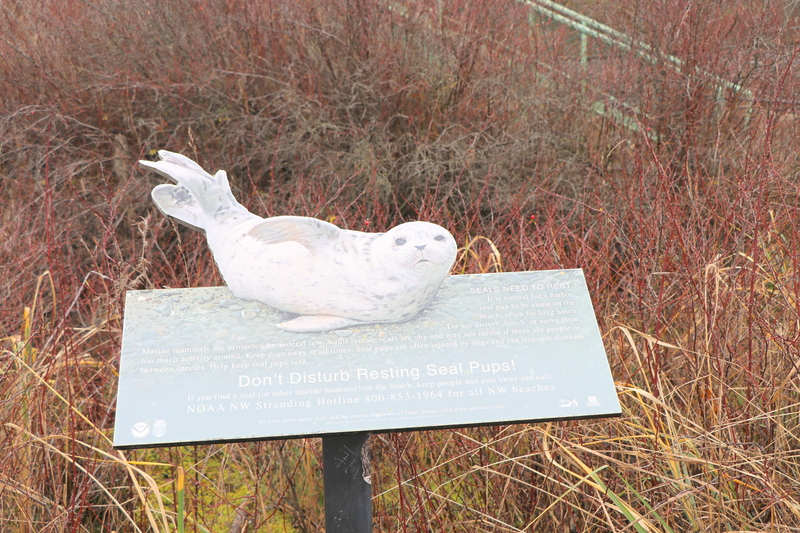 Don’t disturb resting seal pups! 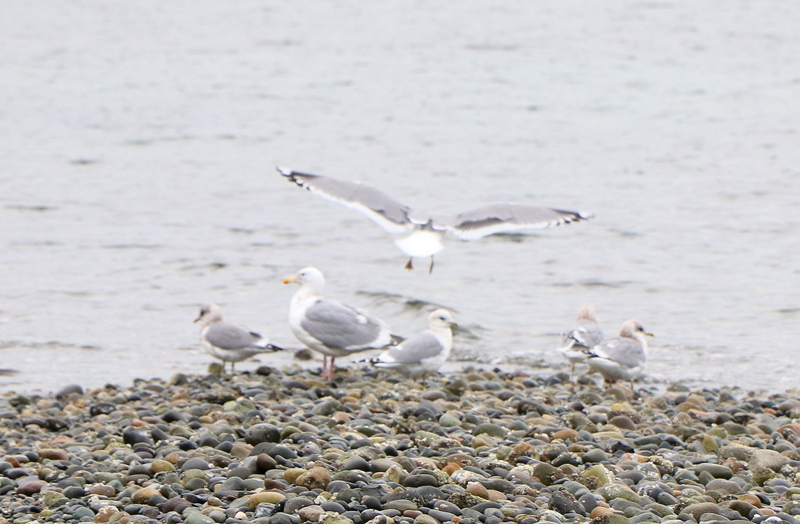 We did see one seal in the Sound coming up every so often and diving again but no seal pups were resting on the shore. 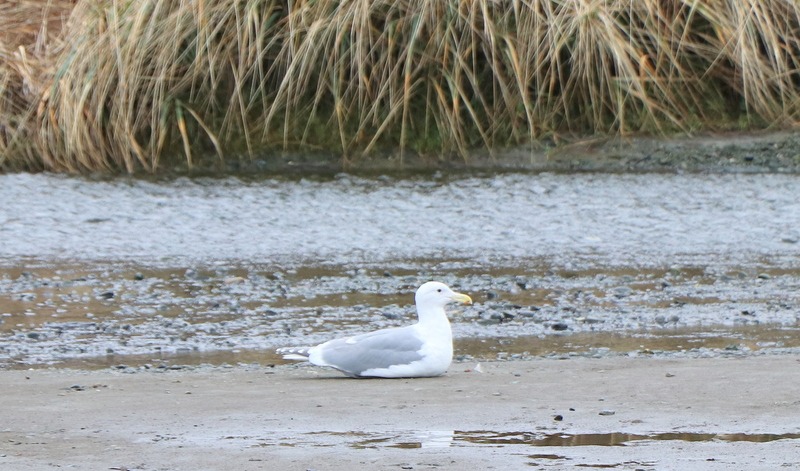 This seagull was enjoying a rest. 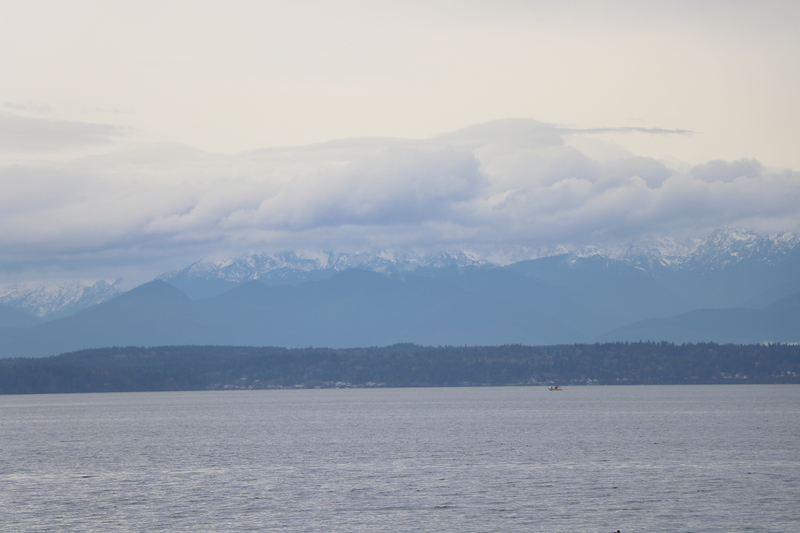 Interesting clouds forming over the Olympic mountain range. 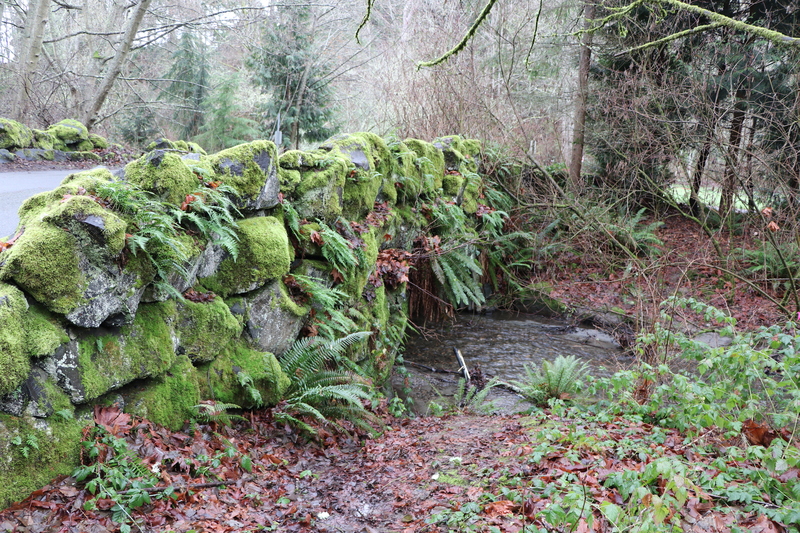 Back to the car we stopped to take a shot of this stone bridge covered in moss and ferns. Seems like we should see a woodland faerie. 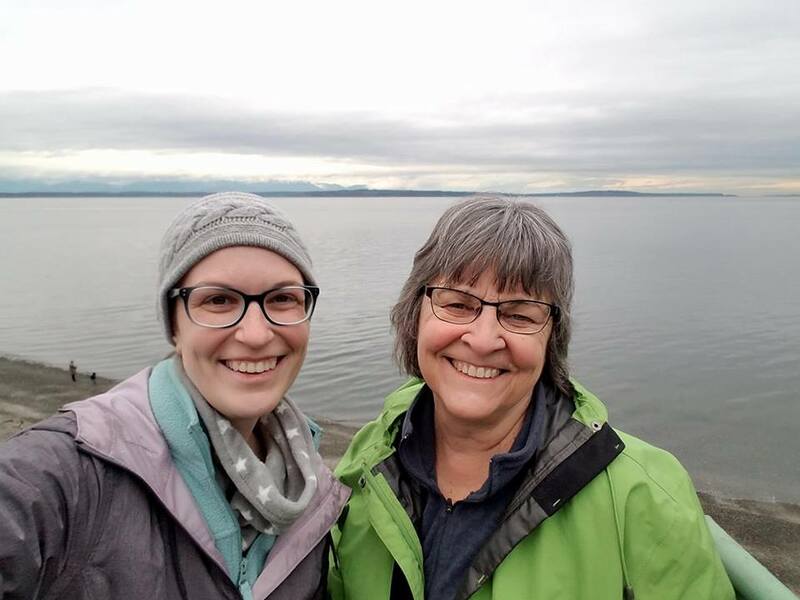 We left Carkeek and drove to Ballard stopping at the famous Larsen’s Bakery. 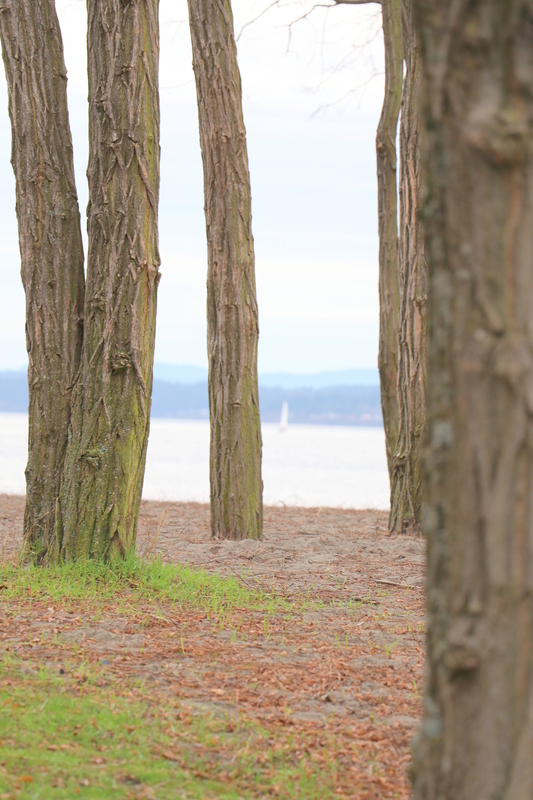 We bought some sweet and savory treats and then headed to Golden Gardens. 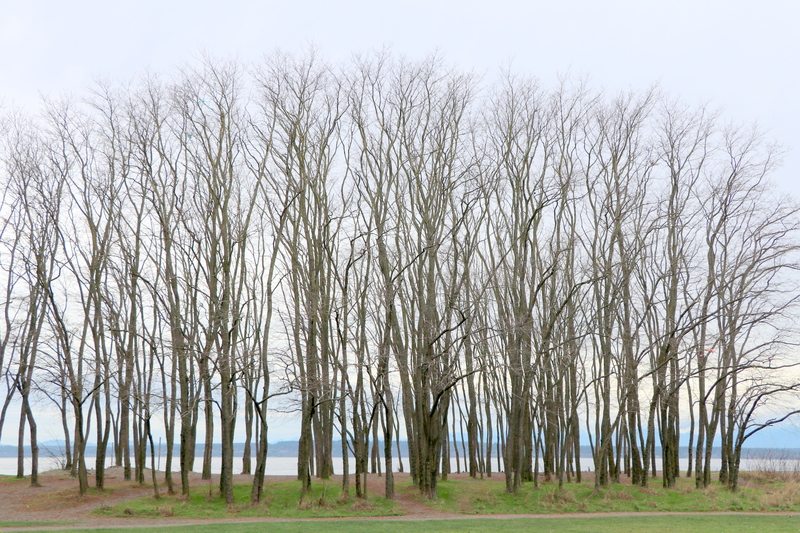 This stand of trees on the shore of Puget Sound made us park the car and come closer. 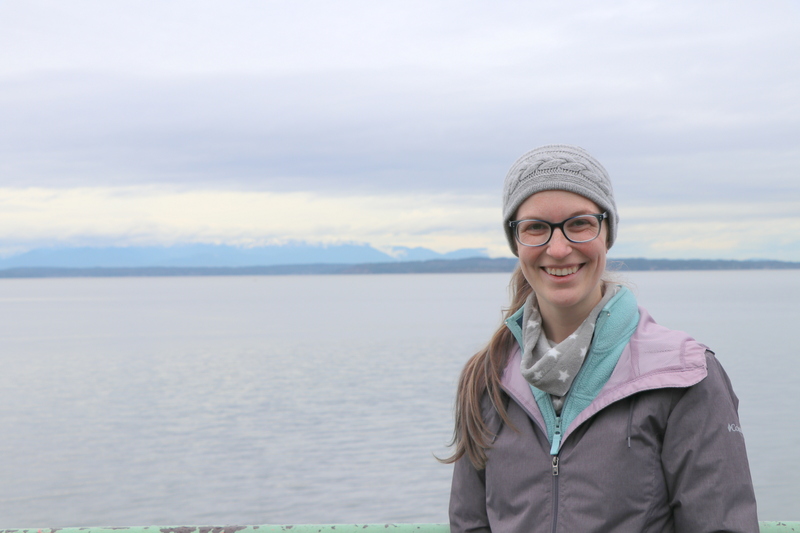 We drove away from Golden Gardens through Shilshole Bay waterfront and up into historic Ballard along the Ballard Locks. Getting back to Katie and Andrew’s we passed through Ballard, Greenwood, and of course Sand Point pointing at several restaurants we’d want to try. 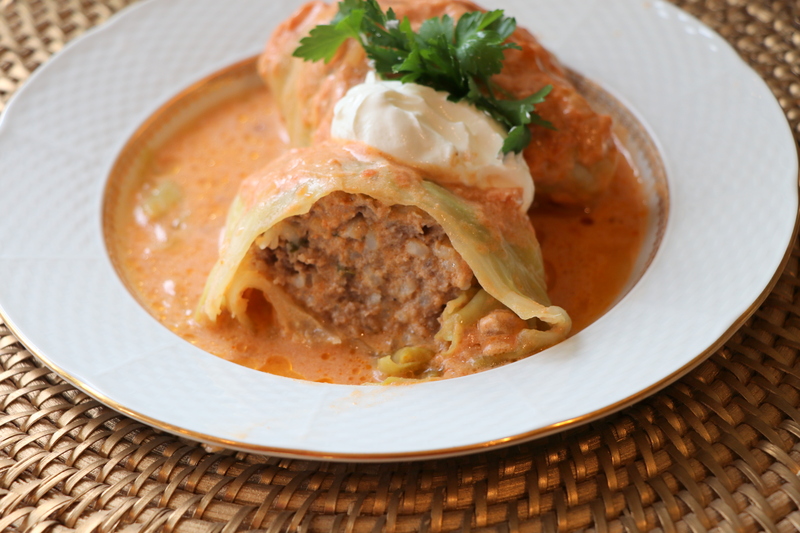 Speaking of food, I posted my mom’s recipe for Goluptsi (stuffed cabbage rolls) on the Mennonite Girls Can Cook blog. Click over to get the recipe.